We extend our gratitude and thank you for your continued commitment and support of our students. We invite you to invest in tomorrow’s leaders by making your tax deductible year-end gift today. The Office of Alumni Relations is in the University Relations and Public Affairs Division. Our goal is to build a new constituency of proactive alumni and “pre-alumni” (current UDC students) as friends, advocates, and contributors to the University of the District of Columbia. Plan social, cultural and athletic events. Co-sponsor with the Division of Student Affairs the monthly Alumni Author and Speaker’s Series. Host recruitment activities, seminars and workshops. Create networking opportunities for students and alumni as they build relationships to bond with one other and their alma mater. Join efforts with UDCNAS, the university’s official alumni volunteer organization, on mutual alumni objectives such as Homecoming, Golf Tournaments, and other fund-raising programs. Please explore the links on the left of this web page for further information. Calling New Graduates of UDC! As the central point of contact for graduates of the University of the District of Columbia, the Office of Alumni Relations is appealing to YOU, our “Stars,” to connect – Connect – CONNECT . . . with your alma mater! 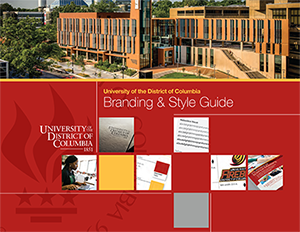 Yes, this is a callout to alumni; and yes—YOU are a “Star!” If you graduated from UDC or one of its legacy institutions, the university considers your accomplishments as bright and shining examples of higher education at its best. You’ve made a difference on the local, national, and international scenes; now is the right time for you to come back and connect with other alumni and the university. 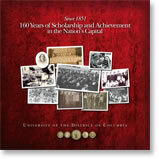 UDC is strategizing for a “New Pathway to Excellence.” Who better to assist at this significant time than alumni? We want you to continue to take part in our annual activities (see listing under the mission statement below), and we want you to spread the word to other alumni who may not be aware of what’s going on at the university. Just as important, we need your ideas for new programs that will have something for everyone, including current students and alumni who have graduated within the last 10 years. Share your thoughts for future alumni programs by contacting the Office of Alumni Relations at 202.274.5206, or, e-mail alumni@udc.edu. Also, keep updated on what’s going on by checking out the Alumni Facebook Page and the Fall issue of “Legacy Magazine.” Help us to help you . . . CONNECT!